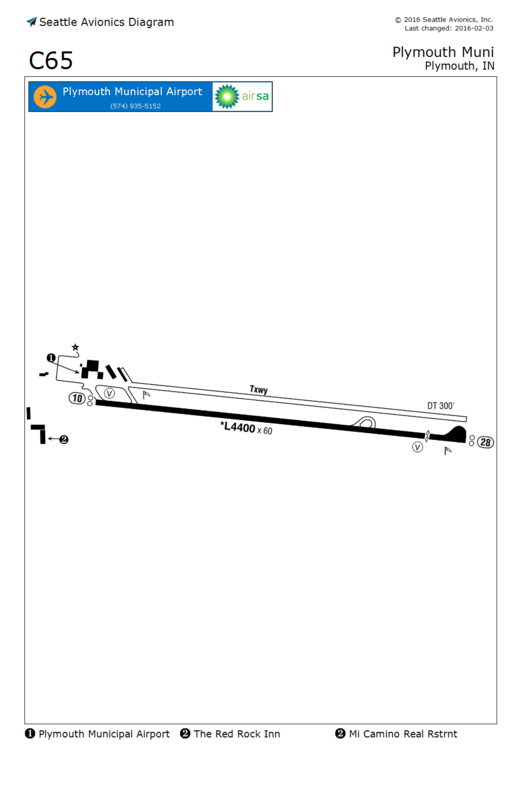 If you see an error on this diagram, please email us with the correction. Please include the airport ident and as much detail as possible, ideally an attached image with the corrections shown graphically. 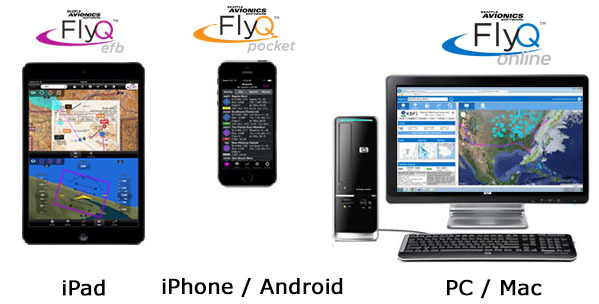 The FlyQ family of products are used by nearly 100,000 pilots on their iPhones, Android phones, iPads, PCs, and Macs. No other pilot advertising platform has so many ways to reach so many active pilots. By advertising on the FlyQ network, your business is literally put in the hands of the pilots you want. 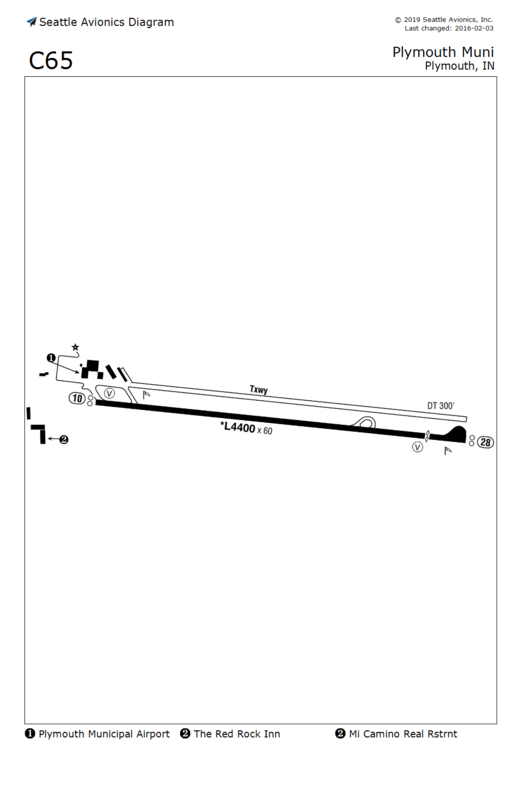 Buy Standard - $49: 12 months of a graphical banner ad on C65's Seattle Avionics Airport Diagram. 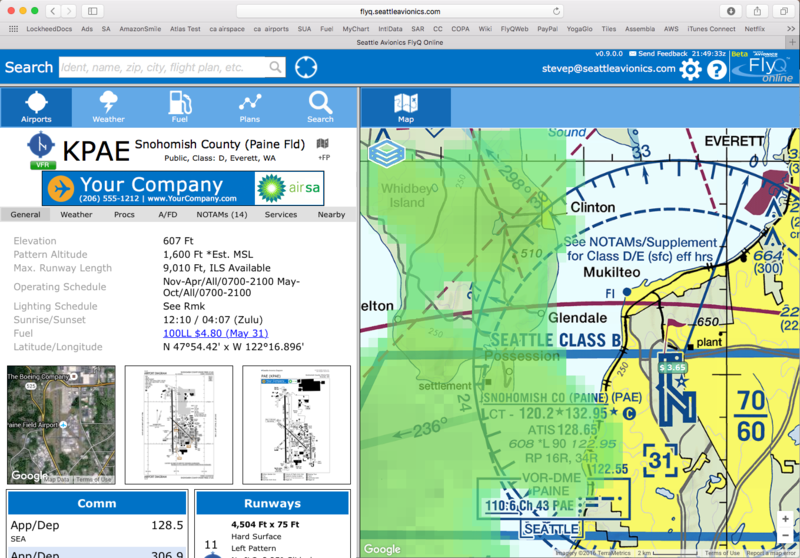 In addition, your ad is also shown on apps and devices that use the SA Airport Diagrams such as Dynon SkyView. Buy Premium - $99: As above but also with a banner at the top of the FlyQ Online info page for C65. Only one Premium ad per airport, first come, first served. Thank you for advertising with the Seattle Avionics FlyQ network!